Recognized for her classic yet eclectic style, Los Angeles based designer Leslie Hunt merges formal design with a relaxed and understated sophistication. Specializing in the creation of uniquely personal and chic interior spaces tailored specifically to each client is Leslie’s formula that has broad appeal to all ages and styles. Her motto is simply decorating the interior of people’s lives. As an Art History major at UC Berkeley, Leslie studied abroad in Europe and then moved to New York to begin her training with legendary designer Mark Hampton. It was there where she developed her use of colors, patterns and textures. Over the next six years, Leslie worked as lead designer managing multiple high-end projects throughout the country with influential designers Stephanie Stokes, Sandra Nunnerley and Scott Snyder. 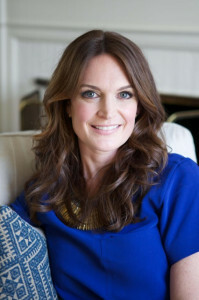 In 2003, Leslie successfully launched her own interior design company on the West Coast. Fusing the best of her inspirations and experiences in New York and abroad with her native California style, Leslie is known for her distinct ideas and passion that she brings to each project. She has a youthful flair and merges her knowledge of the past with an eye on the future. Over the years, Leslie’s enthusiasm, attention to detail and follow through have been highly valued by her clients. With the growth of her residential business came the inevitable expansion into commercial spaces ranging from corporate offices, to restaurants and to private country clubs. Working with different mediums and requirements in a commercial environment has been instrumental in expanding Leslie’s scope of work as a designer.